Come and join us on June 8th at 7:30 at the Capitol for a very special dance collaboration between Kesavah Bellydance, Marilyn’s House of Rhythms & Dance and our lovely flamenco dancers. Tickets are now on sale. I am excited about the upcoming Fall Term, which begins on September 10th and ends on December 14th. I’m offering some new classes, including two Beginner Flamenco classes as well as ballet and flamenco for youth and teens. Please visit my Schedule page for a complete list of the classes available. To register, you may click the link in the sidebar or REGISTER HERE to fill out your information and select your classes or contact me directly. Salsa Nights have been so much fun! 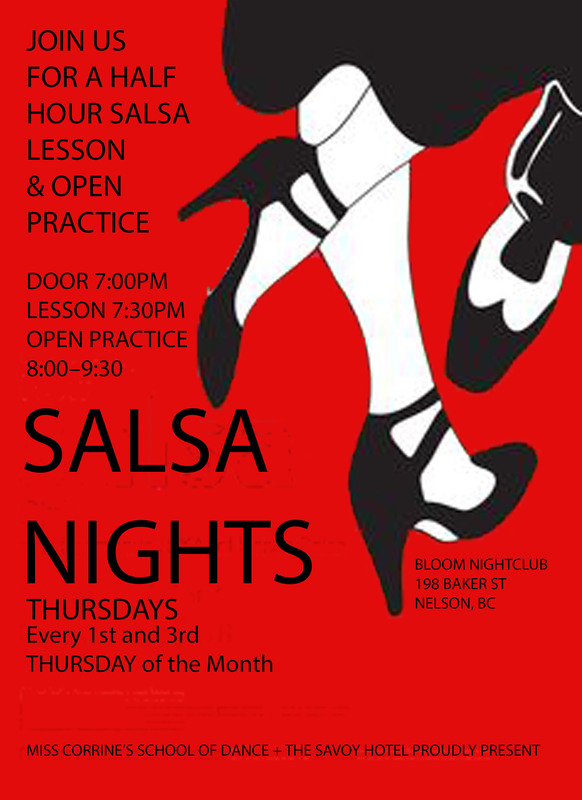 We’ve been taking over Bloom Nightclub every 1st and 3rd Thursday of the month with pulsing Salsa beats! The door opens at 7:00 with an open dance floor and friendly bartender. From 7:30 – 8:00 I teach a few basic Salsa moves and open up the floor for dancing. It’s been a blast! So grab a friend or come on your own to dance the winter away! New dancers, come and learn a fun social dance, and for those with experience, come and show us your moves! All welcome, door $5.